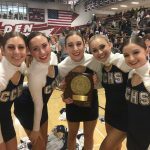 Varsity Pom · Dec 3 Pommies take home the Gold! 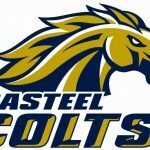 Saturday in the Estrella Foothills High School gym, packed with energy and excitement, our Colt Pommies received the highest score in their division, at the state qualifier, cementing their seat in the state finals. Our ladies are truly next level good. Keep up the great work! 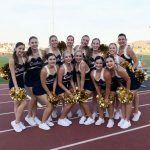 Casteel Varsity Pommies are the reigning 2018 State Champions. We love cheering on our Colts, competing, and showing school spirit! Our motto this year: Refuse to Lose! We look at every opportunity as a way to learn, grow, and be better! Hard work and commitment is what we strive for! Our ladies are one of the top programs in Arizona. We are proud of you! Best of luck this year.